It's been a pretty windy spring around these parts, so we've been making the most of it and taken to flying kites quite a bit. 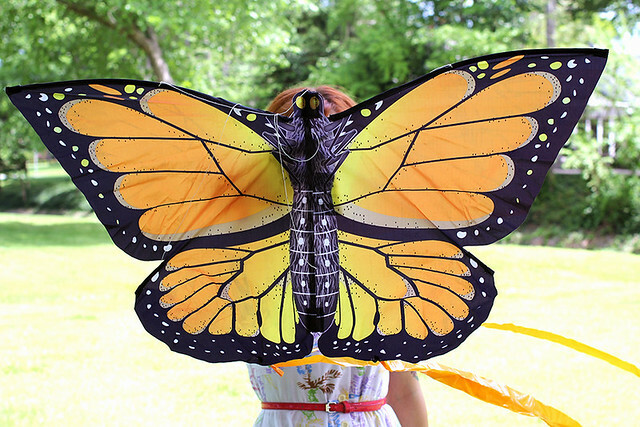 I came upon (read: sought out on Amazon) this butterfly kite and it's just about the most fun thing ever. 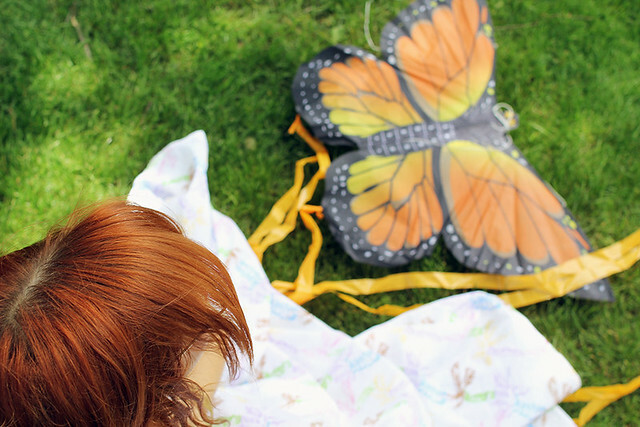 It's like a giant beautiful butterfly is soaring and gliding all around you. I'm pretty sure no matter how old I get, I'll never stop enjoying simple pleasures like flying kites. You may recognize this dress/outfit from my Easter post, but this dreamy frock is too good not to give it a solo spot here on the blog. Whenever I wear it I just feel like twirling/jumping/skipping-- it's a mood booster to say the very least. Happy Friday, friends! Our band has a break from shows this weekend, so I'm planning to fill every second I'm not working on blog stuff and sewing stuff with friends and friend stuff. Have a great one! yes! that dress does deserve it's own featured post - it is so so pretty and you totally rock it. hope you enjoy this holiday weekend! i'm obsessed with that dress and those shoes. it's like a grown up little girl outfit, if that makes any sense. i love those blue shoes!! That dress is adorable! Love it. PS: I'm obsessed with your heart tattoo! I love that dress. I saw it in your Easter post, but I just can't bring myself to spend $290 on a dress. ERG!! I will just gaze longingly at it from time to time. 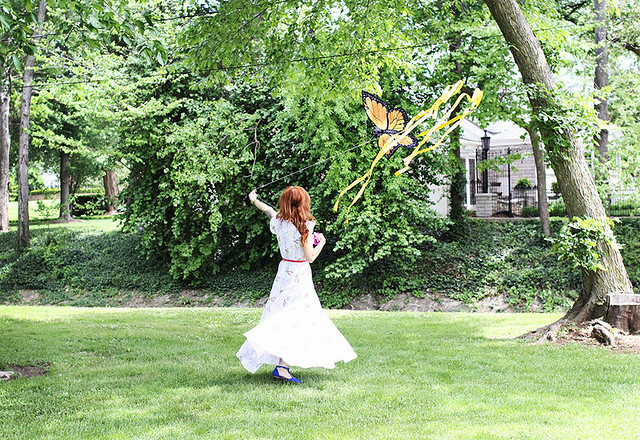 That kite is so awesome! Your photos are always so beautiful. This dress is major! i love the dress! It looks so refreshing and comfortable. That dress is amazing. And I love flying kites! You look like a princess in that dress! Our Family in Family Fun!